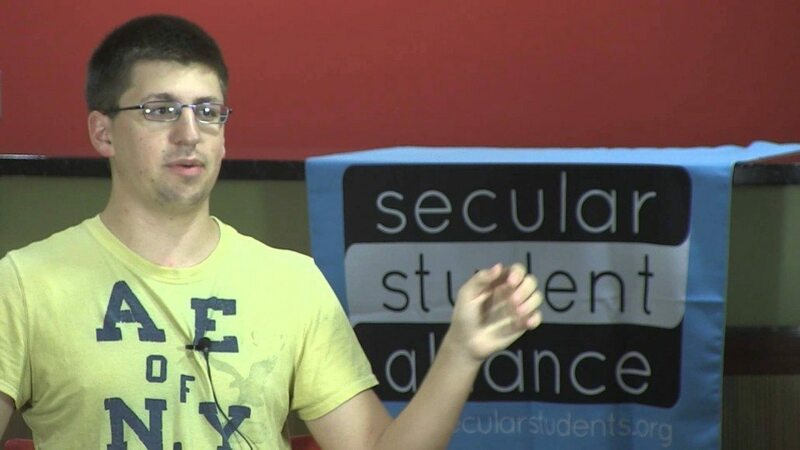 Joe is the president of the Secular Student Alliance at Whitewater Wisconsin. 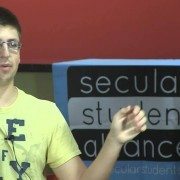 He is an Atheist and Openly Secular. He was raised somewhat religiously but he was skeptical, and joined a different church to be with his girlfriend. His family became opposed to his attendance in this other church, which caused him to re-evaluate his beliefs. He drifted back towards Atheism, and his parents then accepted him. He is still dating his girlfriend, despite their religious differences.